I can't wait to have fun guiding you! Chichén-Itzá in The Heart of The Maya World. Beyond Words! Let’s go! Book Now! 1st Day –Thursday October 24. Arriving from Houston, San Antonio or the airport of your choice for your flight to the perfectly preserved Colonial City of Merida, our staff will greet you with a smile at the Merida International Airport whisking you away on an air conditioned suburban to check into the boutique Casa Lucia Boutique Hotel located in a prime location at the historic center of Merida, in the heart of the Barrio de Santa Lucia, surrounded by antique and historic buildings and some of the favorite’s touristic attractions. Santa Lucia is also distinguished to be a traditional center for both Antique Dealers and our best known Yucatecan Serenade. 8:00 pm Dinner and Yucatecan Serenade at Santa Lucia Park. This is the defining serenade of Merida and has been performed every Thursday night for over 40 years. Parque Santa Lucia, home to the Altar to Trova is the center of Merida’s romantic heart. If you are a visitor, make sure to see this particular serenade. It is well worth becoming a part of your first memory of Merida. Open-air dancing with live music, attracting older and very skilled dancers, with traditional music every Thursday. 2nd Day – Friday October 25. 7:00 am Breakfast at your hotel. City hall, Main Square, Montejo's house, Government Palace, St. Ildephonsus Cathedral, City Museum and Farmers Market. Merida is the capital of the state of Yucatan, in the southeast of Mexico. Surrounded by splendid haciendas and Mayan archaeological sites, Mérida is the starting point to the four cardinal points of Yucatan. Historical districts, museums, its exquisite food, its music of trova, but above all the kindness of its people, make Mérida a beautiful and special city. Your tour includes a professional guide. 2:00 pm Lunch at Hacienda Teya Restaurant. Hacienda Teya was founded in 1683 by Ildefonsa Antonia Marcos Bermejo Calderón y de la Helguera, the wife of the Count of Miraflores. For two centuries it was a livestock plantation before converting to grow maize and then henequen. Haciendas in the Yucatan were farming and manufacturing centers which produced meat and henequen (sisal) rope for export to Europe and North America. During the boom years, the henequen cactus was known as “green gold” and brought great wealth to the hacendados or landowner. Pancho’s is one of Mérida’s most memorable restaurants. Presenting Mexican food with flair, its kitchen offers traditional ingredients prepared in unique, creative ways. The chef prides himself on his truly original, mouth-watering recipes. 9:00 am Check Out from Hotel Santa Lucia. 11:00 am Check in at Hotel Mayaland in Chichen-Itza. 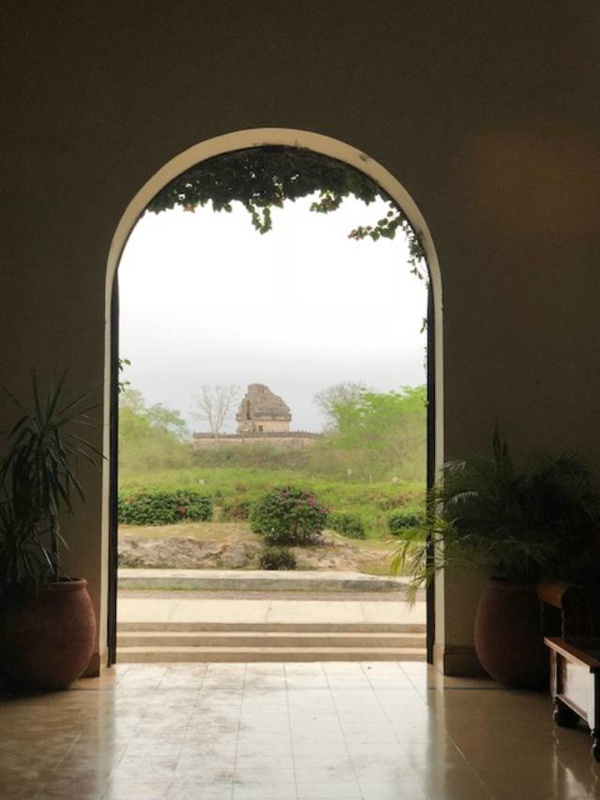 Each associate of the hotel, with 180 total over the hotel's history, has been of direct Mayan ancestry, allowing for matchless knowledge of the area's history, of much delight to travelers. With traditions preserved and celebrated, each hotel associate strives to maintain the rich history of the Mayans: Whether it be through speaking in Maya, the hotel's official language, or educating travelers on the culture's vast traditions via the knowledgeable resident anthropologist, a stay at Mayaland Hotel & Bungalows ensures that historical details of the Mayan tradition are maintained and celebrated. 1:00 pm Lunch at Hotel Mayaland. 2:30 pm Guided visit to The Mayan City Chichen Itza, meaning “At the mouth of the well of the Itza”. Itza is the name of an ethnic-lineage group that gained political and economic dominance of the northern peninsula. One possible translation for Itza is “enchanter (or enchantment) of the water, from its, “sorcerer”, and ha, “water”. It was established before the period of Christopher Colombus. Located in the center of Mexico’s Yucatan Peninsula, Chichen Itza is a large Maya civilization complex centered around the distinctive pyramid known as El Castillo (Temple of Kukulkan) pyramid. The complex also features the Great Ball Court, the most impressive of several such sporting arenas found at other Mayan sites, basically a long court with hoops built up on the walls and surrounded by spectator galleries. Precisely how they played the ball game is now unknown, and the various reenactments you’ll see at some of the tourist sites are basically just guesses. July 7th, 2007 Chichen-Itza was chosen as one of the new Seven Wonders of the World. 8:00 pm Chichen-Itza Light and Sound Show. Every night the Great Pyramid of El Castillo shines through the night after dark. It is an exciting show full of history and beautiful light effects. Ancient Mayan complex comes to life with a dramatic light and images and also sound show. 9:30 pm Dinner at Las Villas Arqueologicas. 2:00 pm Lunch at Meson del Marquez in Valladolid City. 4:00 pm Waking Tour in Valladolid City. Valladolid with its grand historic buildings, majestic churches and celebrated gastronomy, it’s easy to see why Valladolid has been touted as one of Mexico’s ‘Pueblos Mágicos’ (Magic Villages’). Return to Hotel Mayaland by evening. 8:00 pm Farewell dinner in Hacienda Chichen. We will trade tales, tips and discoveries learned on your insider look at Mexico, a country you will now know far better than any tourist ever does. Hacienda Chichen was among the first of Yucatan's Haciendas. This Colonial hacienda was built by the Spaniards in the 16th Century (around 1540s). Hacienda Chichen is uniquely famous among Mexico's haciendas due to its intimate link with Mayan archaeology discoveries within Chichen Itza and for its current green vision and sustainable tourism activities making this boutique Eco-Spa Resort, the most committed green hotel in Yucatan, Mexico. Today, this Chichen Itza hotel ranks among Mexico's best green spa resorts, and it is recognized internationally among the ten best Eco-Spa Destinations in the World, and among the top Eco-Wellness Destinations in North America. We will make our way back to Merida International Airport for your flight back home. 11:30 am Merida International Airport. Price: $2,500 USD per person based on double occupancy. Your Tour starts and ends at Merida International Airport. Single supplement $550 USD. Our Merida, Valladolid, Haciendas, Cenotes and Chichen-Itza in The Heart of The Maya World Tour price includes four star boutique Hotel Casa Lucia (2 nights), five star Mayaland Hotel (2 nights), all breakfasts, lunches, dinners, guided city tour in Merida and Valladolid, Cenote Ik-Kil entrance ticket, Chichen-Itza light and sound show, tour guide and air conditioned ground transportation. Do not include alcoholic drinks, tips and flight transportation. For more details, you may call us at 1-210-606-4746 Monday through Friday from 9:00 am to 6:00 pm Central Time, and we will be happy to take care of you, or answer any question you might have. Please feel free to ask for more details or schedul a fun guided visit to our Paradise! Round Trip $450.00 (if purchased at least one month in advance).